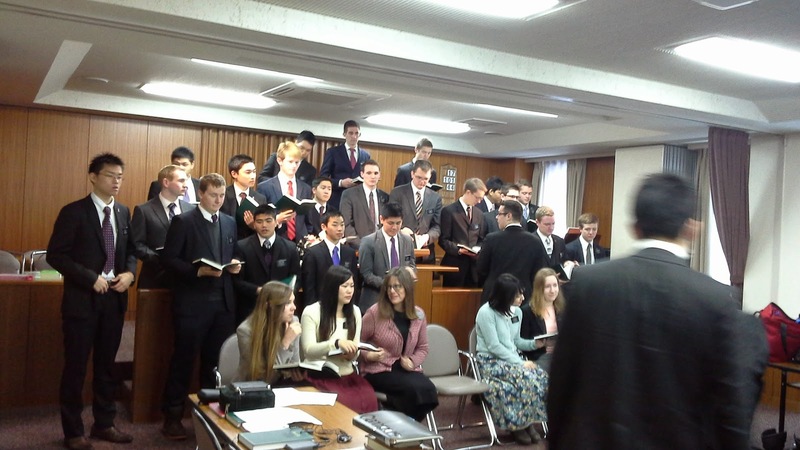 We had an opportunity to go with the elders to Morioka on Friday. We left early in the morning so they could help set up for the Zone Conference. Elder K. had been in Sendai on splits, and since he has a driver's license, he drove us there. He was one of the APs when we first came to Sendai. We were reminded of how he and his companions have driven the length and breadth of this mission fulfilling their assignments. As you can tell from the photo, the weather was nice all the way from Sendai until we got to Morioka. Then the snows started. Big time. As the missionaries arrived for their conference, they were brushing off the snow from their heads and coats. 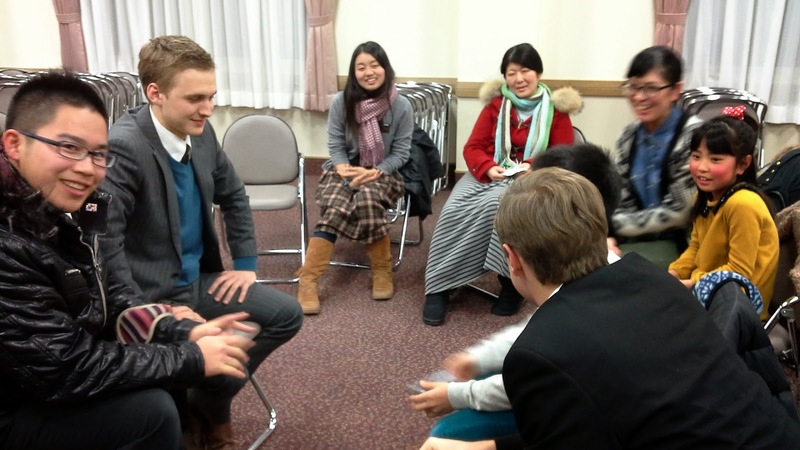 It was fun to see some of the missionaries we haven't seen for a while. We had planned to stay for the conference and then drive the APs back to Sendai, but the Hachinohe missionaries had called the day before saying they needed help with their bikes. We figured since we're half way there, we should just do it during the conference. (The weather prediction was for only 1 - 3 inches of snow.) We just didn't expect it all in one hour! But they said it was clear in Hachinohe, so we decided to give it a go. We left just as they were starting. The freeway was closed down part of the way, but we were finally able to get to Hachinohe on Highway #4, which goes the length of Japan, but is only two lanes most of the time. So if someone wants to turn right, it stops traffic for a while. Here we are in Hachinohe trading out the bikes. They had some serious wind there! (They also had a Pizza Hut!) 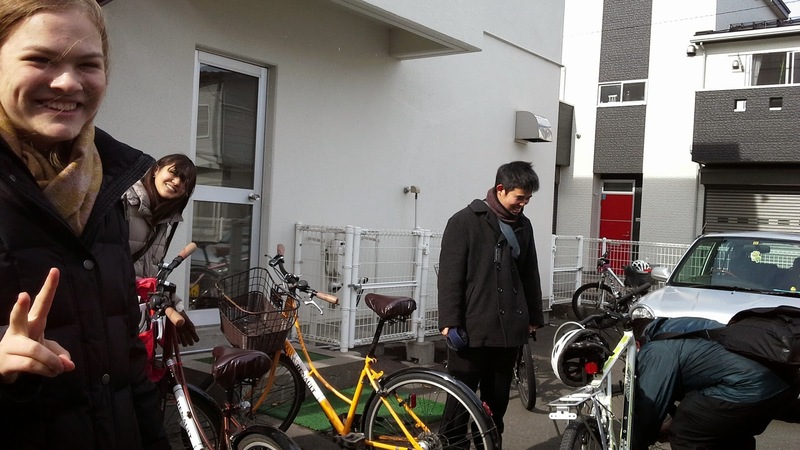 We picked up more bikes than we expected, so we told the elders they'd have to find another way back to Sendai. 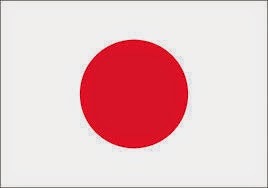 They were OK with that, because the other way is the bullet train with the Smiths. Then we headed back towards home. Again, it was slow going. We did see a couple of snow plows, but the roads ice up really quickly. Everyone drives slower than normal. We saw a couple of accidents along the way too. But we made it back to Sendai in time to drop off the bikes at the repair shop. (Around 6:30 pm). So it was a long day in the van. When I closed my eyes to go to sleep, I could see snow blowing towards me! We were very thankful to make it home safely. Here's a couple of photos from English the other night. We played a categories game where everyone had to say the name of an animal or fruit or whatever (in English!) It came down to these two. Our elder did not want to lose to this little kid ..... but he did! In church today, the Sacrament Meeting talks were about taking care of yourself physically and spiritually. Then after church, everyone gave us candy and cookies for Valentine's day! Just when we were almost caught up to our Christmas treats! And for my family favorite this week, this is my nephew Adam and his boys. Adam and Jenny have a son serving a mission in Colorado, and their next son is Arizona's Defensive Player of the Year in high school football. He has signed to play at Mesa College next year. Way to go! We love all our missionaries! And we're so happy for Sister Smith for passing her driving test this week!